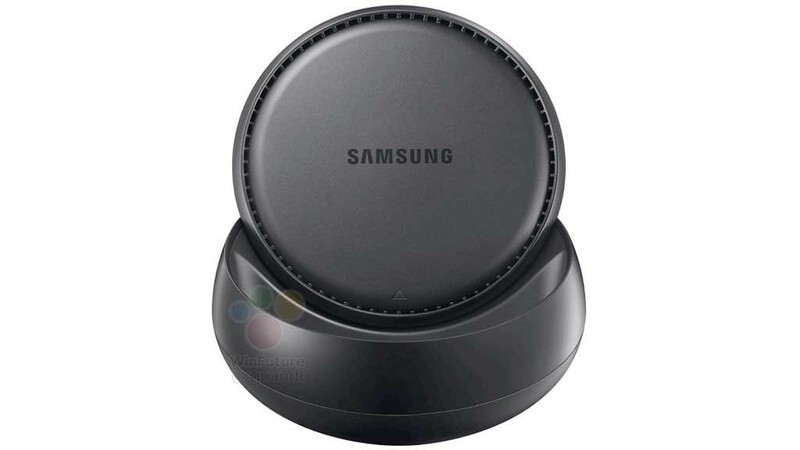 On March 29, 2017, S amsung will present the new flagship Galaxy S8 and Galaxy S8 Plus with new accessories - including a docking station that will transform the smartphone into a functional computer. Similar to Windows Continuum, just with Android as the operating system. On the dock are rumored to be two USB 2.0 ports, where the keyboard and mouse find their place. WLAN and mobile data connections are not possible, but the DeX station has a 100-megabit network connection. The "Samsung Galaxy Desktop" interface provides a PC-like view. The multi-window feature allows apps to run in separate windows - just like the computer at home. The dock has an external power supply and an active cooling system for the Galaxy S8. And that makes sense, as the smartphone rumored to transmit screen contents in 4K resolution with 30 frames per second to a monitor. Under these conditions, the smartphone may heat up quickly. At the same time, the DeX station is also a charging station. Samsung's idea is not very fresh. Because Microsoft has equipped its mobile operating system Windows 10 Mobile already 2016 with the function "Continuum". This also allows the smartphone to be converted into a fully functional PC workstation - with the docking station "Display Dock". This makes it easy to connect a Windows Phone, Mouse, Keyboard, Monitor and Hard Drive. With the release of Windows 8 in 2012, Microsoft began to bring Windows to mobile devices - initially with moderate success. In the meantime the operation with Windows 10 has significantly improved. The DeX station is to cost about 150 euros and together with the Galaxy S8 and the Galaxy S8 Plus in April 2017 come on the market.